When Audi launched the 2016 S4, we weren't exactly giddy. The charismatic 3.0-liter supercharged V6 has been replaced with a twin-turbo unit, the seven-speed dual-clutch has been swapped in favor of a traditional eight-speed automatic, and the manual has been discontinued. Now the A5 and S5 have been redesigned as well, we think that Audi may have made a mistake. The previous A5 and S5 were stunning when they were first unveiled in 2008, while the looks of the new 2016 A5/S5 just don't wow us like the predecessors did. 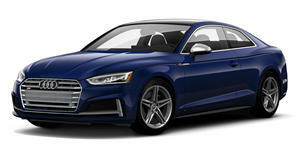 Audi claims that the new A5 platform is 132 pounds lighter and has a lower drag coefficient. The wheelbase is longer which will allow for more leg room and reduced front and rear overhangs have been shortened. Comparing it to the original S5, the new car just doesn't look as sleek as we had hoped. The original S5 still looks decent, this new one just doesn't excite us enough. Moving on to the numbers, the new twin-turbo V6 makes 354 hp, a bump of 21 hp over the supercharged engine. The new S5 will hit 60 mph in 4.7 seconds, although Audi does have the tendency to underestimate 0-60 times. Even with this much power, the new engine will still get 32 MPG on the highway, a nice improvement. We will have to drive the new S5 to decide whether this turbocharged V6 can match the charismatic nature of the older S5's supercharged V6 and naturally aspirated V8. Both of those engines blended awesome performance with amazing sound. Turbocharged engines tend to sound less special, but hopefully Audi can make it work. The interior on the new S5 is remarkably different from the previous model. This is good because the old S5 hasn't been significantly updated for years. Audi's latest and improved MMI system is present and includes the digital dashboard that can also be found in the A4, TT, R8, and Lamborghini Hurracan. The interior is improved greatly, but we still don't love it. We have had the chance to explore the new A4's interior, and it is much better in person. The A4's interior feels roomier than a 3 Series. The virtual cockpit is an extremely cool option, which is made better with the inclusion of an 8.3-inch center screen. The TT and R8 no longer have a screen in the middle, meaning that passengers will just have to enjoy the ride without adjusting the radio. The new A5 and S5 have been improved in many areas, but we don't think that Audi has catered this car to enthusiasts. Casual car buyers will love the new A5/S5 because it is one of the bigger and more comfortable luxury coupes on the market, but enthusiasts may stick to the BMW 4 Series. The new A5 and S5 look to be targeting the Lexus RC more than the BMW 4 Series or C-Class. Even though Audi has had some time to match both of those cars, we think that it played it too safe. Coupes are supposed to be strikingly beautiful. Like the new S4, we don't think the new S5 does enough to stand out. When you sit in the A4, you feel comfortable, but it doesn't inspire sporty driving. Hopefully Audi gives us a bonkers RS5 that will make us remember how good Quattro should be.